My 2002 Astra roof will no longer ‘latch’. When opening recently, there was a sharp ‘bang’ as it attempted to open (release) then nothing, it just stopped. I opened it manually and folded the roof OK, when I tried to close it, the roof advanced OK but stopped as it was about to latch to the top of the screen. The 2 closing hooks seem OK, (both are in the open position) as does the mechanism, but when I opened the plastic cover (by releasing the front edge) I found 2 pieces of broken black plastic at both sides of the roof edge? Also, the manual closing socket doesn’t seem to work now either? The hooks remain open no matter how much you turn the manual release/close socket. Is it possible to close/secure the roof some how? Can you recommend any investigations I can proceed with myself, or suggest anyone in Adelaide who might be able to help? Hi my name is Jane i spoke to you briefly on Thursday. I also sent text msg but when i read it back to myself it didnt make sence. So im requesting your help via e-mail If you have available space I would like to book my car in with you the next time your in perth. (pending ball park quote). Below is a detailed list of events since owening this car. 2007 Astra 6 gear manual twintop convertible. Used car. Holden signature range. I lady owner before me. 3). 3 weeks ago i had same issue with roof not locking when closing. Tock to Holden northside they closed the roof. (she couldnt tell me how). That’s when the lady told me it woukd cost $600 in labour cost plus parts. (see note arrached) She then said dont open it again. When this happened to my Astra the plastic parts that goes over the thread near the latches had broken. They were around $1500 each to buy. I was able to take them off, drill holes in them and bolt them back together. They worked for about 5 mins until there was a really loud bang like some one had thrown something a the windscreen. The rest of the latch died. Thanks Eric and Kylie at ALNO they fully reconditioned my latch with Aluminum parts and now i don't need to push the roof by hand. 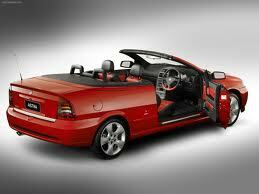 I am looking for parts for the roof latches on my astra bertone convertible 2.2 (2002). Do you sell individual parts to the latches or the complete unit, as it is just a replacement for the plastic part that attaches the motor gear and screw together that has spilt apart. IF so can you give me a price for 2 of these parts? Can I get them sent to NZ ? I noticed you sell astra convertible parts, and the roof locks etc. Did you happen to sell the roof tensioner cables? (I belive that is what they are called) – they “tie” the roof lining to the rear quarter via some loops. It’s a piece of plastic with like small strings attached? Where can we access ALNO products or services in the Perth (Western Australia) area please? 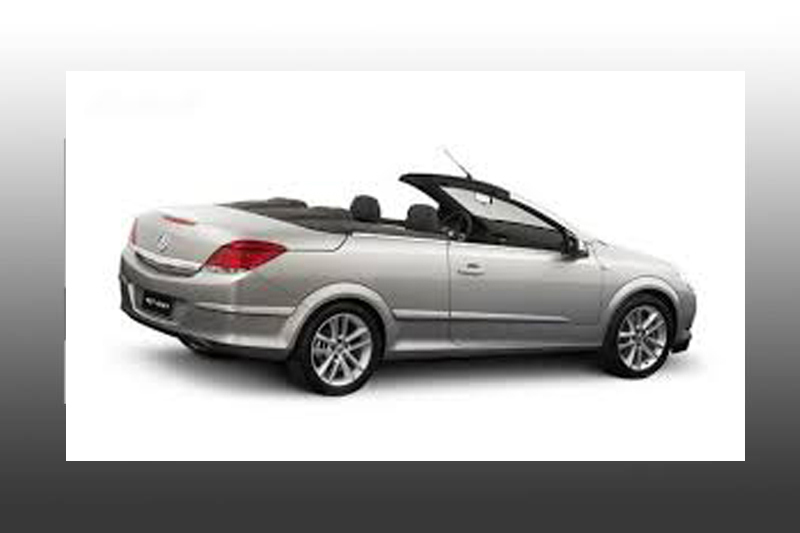 There are problems with the roof of the 2002 Astra Bertone convertible. It is open and will not close. I would like to purchase some oil, or hose or whatever necessary. I am wary of Holden dealerships. I understand you guys make / repair Astra convertible roof parts. I have a 2002 Bertone that has a snapped worm drive block (black plastic) on the left hand side front lock. Can you get replacement blocks or do you need to buy the whole latch? I have an Astra convertible. Up until today, the hood opened and closed without any problems. Today I went to put it down and it went 3/4 of the way and then stopped. I gently pulled it back up into place, but despite following the instructions in the handbook, using the small winder tool, the roof will not come forward onto the windscreen or close. As soon as you put the key in the ignition, there is a beeping noise indicating the problem, but the switch will no longer open or close the top. Do you have anyone you can recommend up around the Bundaberg area, (besides Holder dealership) that can fix this problem? The latches were replaced last year by them and cost a fortune. We don’t actually sell the plastic blocks we manufacture aluminium parts and recondition the latches as a set replacing up 3 components. Latches sets are supplied on replacement basis where we can send you a set of latches or recondition your set of latches. Saying that it would be best to recondition your set of latches as there adjustment on the latch or a ball joint arm is set to your car and to reset this adjustment can take up to a day. To avoid that headache or labour cost we would recondition your latch set without changing the adjustment. We also accept credit card and payment via PayPal. Could my husband drive down on Wednesday afternoon from Nelson Bay to see you so you can checkout the hydraulics in our roof of our Astra 2005 convertible which seems to be buggered? We also have a problem with the boot lock. Is this something you can also check? Once you've assessed, if these are things you can fix, can arrange to leave the car with you later this month or whenever convenient to do the necessary repairs. Can you ring me on Monday or Tuesday or reply to this email? I know it has been a while (if you even remember our many emails) but due to the distance involved and co-ordination required to have Zoe’s car in Fremantle/Perth for some time it was best to wait until after Xmas etc. So we have finally been able to organise to get Zoe’s car into the Holden Dealer in Perth this weekend and would like to go ahead with the suggestions that you have made in regards to either purchasing the required reconditioned parts if you have them there, or having the parts from her car reconditioned. We sent you the quote and details that we had been given by Shacks Holden but then remembered that only one of the motors had stopped working but they had told us as that part was no longer available she would have to buy 2.??? I would really prefer to ring and talk to you as we are so far away and need to know what needs to be done. I could give the Holden dealer your details so that they could co-ordinate with you in regards to the parts required to be sent over or purchased. They have said that would be fine that they could ring you and we would just pay you direct for the parts. I have booked the car in at Shacks to drop off on Saturday so really need to be able to talk to you to make sure that this can go ahead. Hope to hear from you urgently. Manually closing the roof is possible with a broken latch the problem is open the roof after the roof I locking in. If the latch jams it is only possible to open the roof by breaking the plastic cover where the latches are housed. Mike I’m certain we can offer you all the assistance you need in terms of fitting and removing roof latches or if you like happy to assist your local mechanic with that information as well. Having said that your local Holden dealer could also change them over. We offer roof latches in a set on a replacement basis or by reconditioning the latches currently in the vehicle this will save you time and head aches in resetting the latches for you vehicle. I would suggest the later option if you were planning to fit the latches yourself. If you were to remove the latches express post them to us we can have them recondition or turned around inside a day and express post them back to you next basically a 3 day turn around. Removing and fitting the latch set should not take more than 3-4 hours. In terms of reconditioning the latch we remove the plastic parts that break and replace them with aircraft grade Aluminium so they will last forever. I just purchased a Holden Astra ts convertible & my roof is stuck open & leaking hydraulic fluid. I live in Medowie NSW near Newcastle & was wondering if you guys service this area & if your able to fix the roof issue? My Astra has a roof which was working fine but has recently stopped working halfway up/down and just beeps. I would like to get it fixed or at least looked at to see how much it will cost for repair.